In September, 2Cubed continued to develop and design beautiful new bespoke websites for customers in Wexford and further afield. 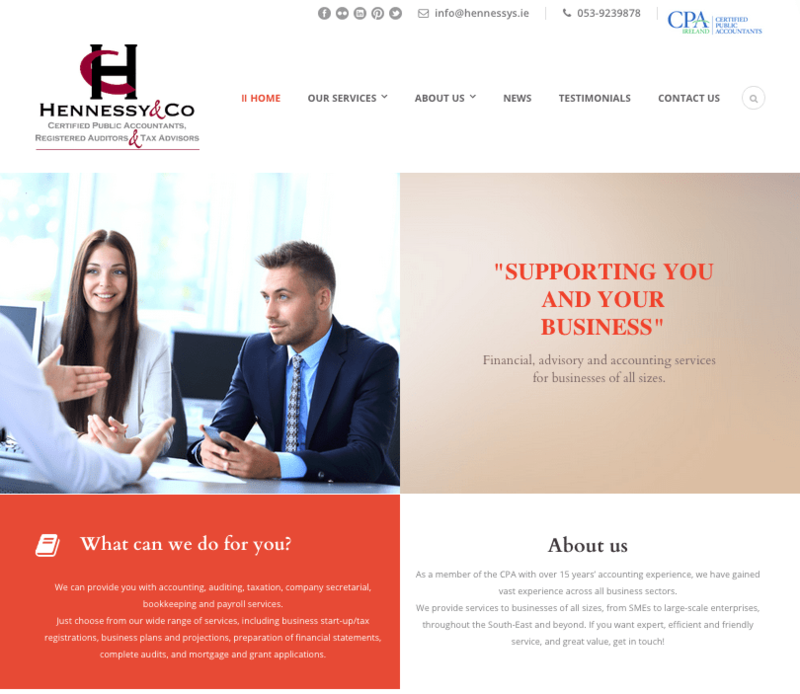 We recently launched the new website for Hennessy & Co Certified Public Accountants, Registered Auditors, and Tax Advisors. We worked with Sean and Josephine to showcase the many services Hennessys have to offer from their offices in Enniscorthy, Co. Wexford, including auditing and accounting, tax services, management consultancy, company secretarial, bookkeeping, and payroll services. 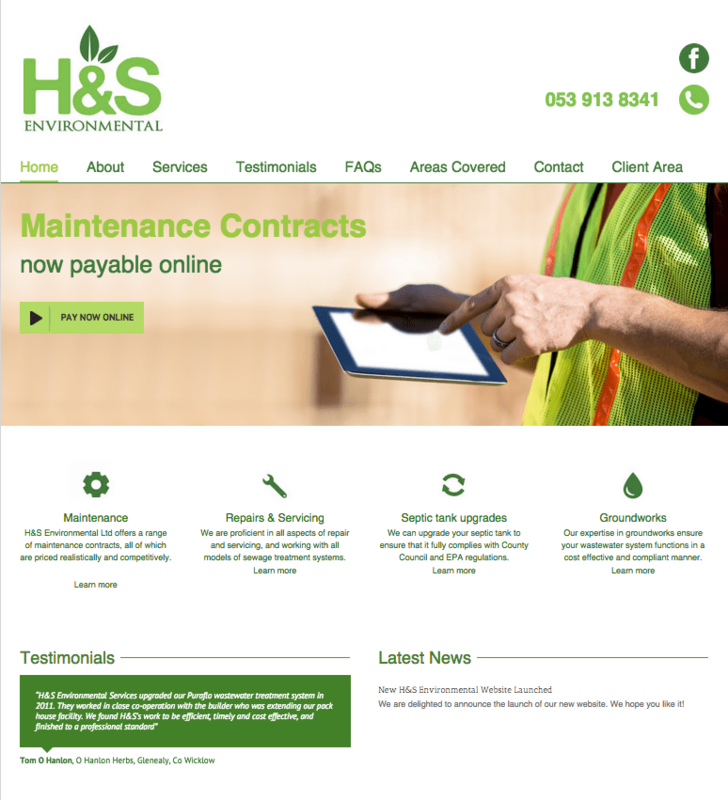 We also worked on a new web design for H&S Environmental, who provide sewage treatment services across the south-east: serving counties Wexford, Waterford, Kilkenny, Wicklow, Carlow, Kildare, and Tipperary. The re-designed H&S Environmental website is easy to use and also features a client management system to help H&S Environmental deal with their customers more effectively and efficiently. 2Cubed is proud to have become a member of the Enniscorthy Chamber of Commerce. Today the Chamber held lunch in the Riverside Hotel in Enniscorthy, and we found it a good way of meeting local businesses to share ideas and strengthen existing relationships with current customers. You realise that you don’t get a chance to have space to just talk to other businesses outside a formal meeting so it’s nice to have a casual chat and really build friendships in a business environment. We have developed and designed many local business websites recently and it’s great to hear positive feedback from these businesses. Really how else would you hear this? The Chamber lunches or network events facilitate this in a local sense. It’s also important that events like this don’t take a day out of your work life so having them executed in a timely fashion is very important. This entry was posted in News and tagged Enniscorthy, Enniscorthy Chamber of Commerce on March 26, 2012 by admin. This entry was posted in News and tagged Enniscorthy, Enniscorthy Enterprise and Technology Centre on September 2, 2011 by admin.